Twenty years ago, we planned a wedding in Staten Island. The day was cold, but our hearts were very warm. How exciting that day was. We were growing as a family. We were a family of four. By the time noon rolled around, we were a family of seven, and my son became a husband and father. What a happy day that was. Before we knew it, we quickly became known as "The Furer Nine." And those wonderful family parties, where two families from different cultures, moved to the beat of the same drum and became one. We had so many family members at our parties, we couldn't count them all. So much fun, and so many wonderful memories for us, and our children. How exciting those times were. Travelling through time; raising children, working, trying to fit everything that has to get done into a twenty-four hour period, and still get some much needed sleep, can become overwhelming. You travel this journey together, and that makes everything possible. During this busy time, life is measured in terms of events; weddings, births, anniversaries, birthdays, school, work, vacation, and even death. Can't wait for that planned vacation, and then it comes. Can't wait for school to end and summer vacation, and then it comes. Before you know it, graduation day arrives, and the house begins to feel empty. And then, like the wind hitting your face, and the blink of your eye, you realize how quickly twenty years goes by. How exhausting and exhilarating this time is. We are thankful that fate, or a higher power, brought the two of you together. You are thankful for the beauty of your loving union. You are thankful for beautiful and healthy children (poo-poo), and thankful for siblings and parents. We are thankful, and so fortunate, because we are an integral part of your life, and the lives of our grandchildren. We would be thankful if we could slow down the hand of time; but that isn't possible. So, we are thankful for every day that we get to be a part of your beautiful life. How exciting this time is. 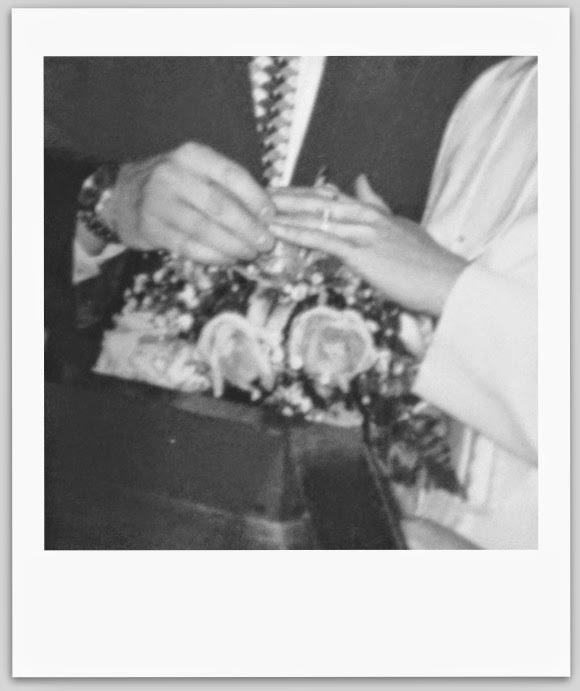 How happy we are to be able to wish you both, our dear children, a very Happy Twentieth Anniversary. We are enormously proud of you and love you dearly.